A couple of months ago we got a new neighbor. She is really great, and has a son the same age as Rat Boy (the resident 15-year old zombie killing expert), who is also homeschooling. She also has plants…LOTS of plants…a veritable explosion of plants on the tiny back porch. I’d read that the best way to dry and store fresh herbs is to rinse in cool H2O, then lay flat to dry on a paper towel, after which refrigerate in a ziplock. So I did that with about half of the stems, until I ran out of room on the counter for the paper towels and leaves. The other half I rinsed and stood in a glass of water, like a flower arrangement. The standing basil dried in about half the time, I didn’t need to fluff or turn it. Actually it’s still sitting in the glass, looking fresh and crispy and quite decorative. The detached leaves did finally dry, and are now safely ensconced in the fridge. I put mine on little cocktail rye slices. Hubby had his on Ritz. Either way, great nibbling without having to turn on the oven 🙂 And when you live in Texas, and the temp is holding steady at an early 100+, oven avoidance is an art to cultivate…even if you have AC! 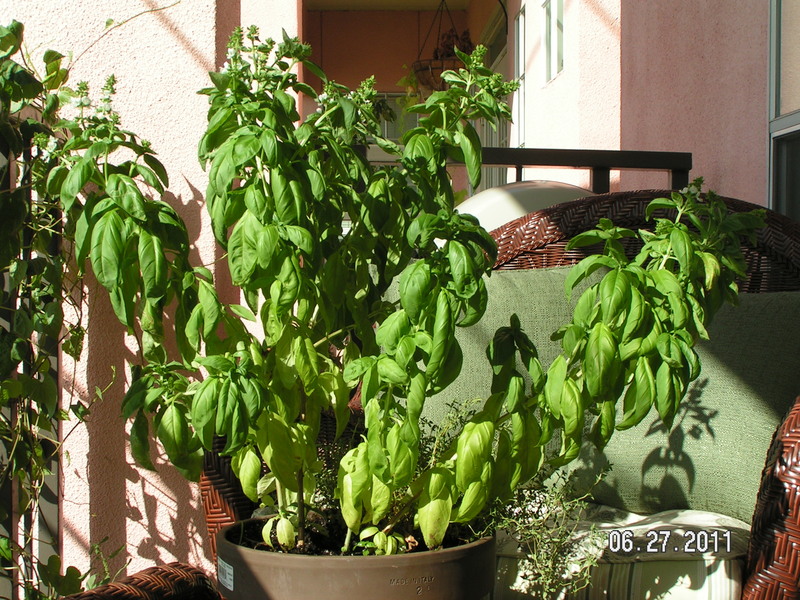 I planted basil in a bed once out in front of a rental house. In one year it grew to be like 3 feet tall and 2 feet around. That was about 3 years ago. I’m just now this spring running out of the leaves I dried from that plant. Basil loves to grow once you get it in the right spot. The plant I put in a pot this year died in a week though. 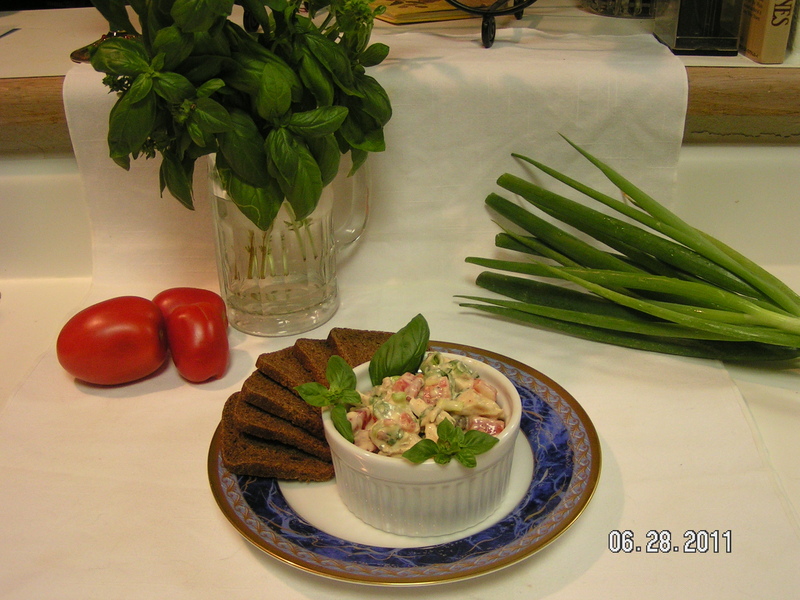 By the way, nice Still Life With Basil and Tomatoes.